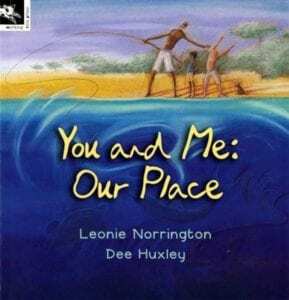 I can’t remember anymore what I first loved about Leonie Norrington – her books or her appearances on gardening shows and seeing her passion for all things related to the Australian bush. A gardening expert, Australian bush advocate and a children’s author – that’s the complete package for me! She also happens to be completely delightful and had my students at school enthralled when she visited a few years back to speak about her writing. Thank you so much for joining me here today Leonie! 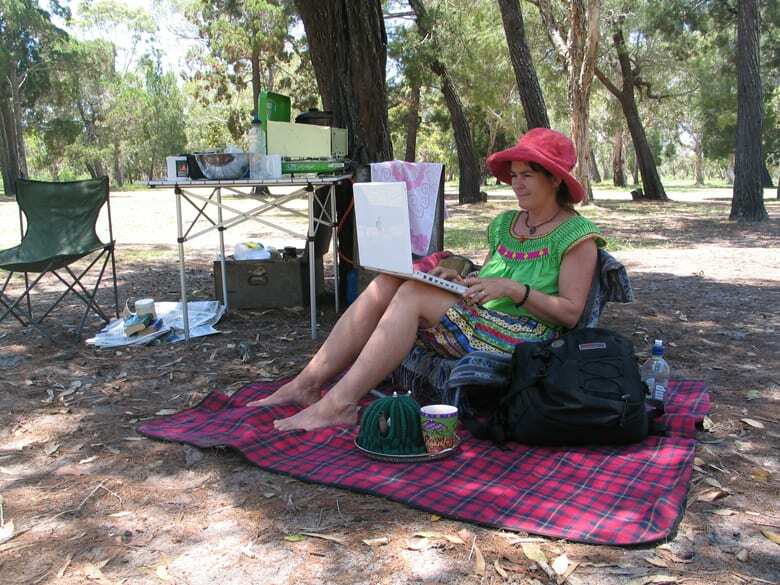 ‘Bush Holiday’ is a chapter book with Brenton McKenna, a wonderful comic illustrator from Broome in north WA. In it, a mad bush auntie called Doreen with massive hunting dogs take a young city girl bush, where she has to eat stuff that tastes like snot and catch file snakes and bite their heads to kill them. My son is a rodeo rider and he was traveling around Australia with the rodeo circuit when he fell in love in a small town in NSW. 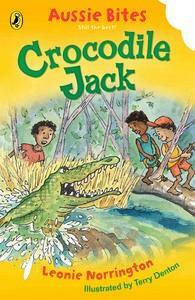 My little grandson lives there now and because he was growing up so far from my home, I decided to write him stories about what it was like growing up in northern Australia. All by books were from the point of view of boys. A few years ago I had a granddaughter so I started trying to write from the POV of girls. At first I was terrified. What do I know about girls? I thought. But then I remembered that I was one. 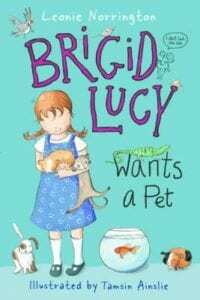 So, the Brigid Lucy series and Bush Holiday are my girls books. I think a lot about writing. I wake up with stories in my head. Feed my animals, do yoga, work in my veggie garden with stories in my head. I sit in front of my computer for at least two hours desperately try to get the stories out of my head onto the page. Some days I succeed a little and other days I have to stare into space or fall asleep or get distracted doing emails. I have a beautiful Bali hut down the bottom of our garden. It’s called the Crone’s Nest. Sitting at my desk I can see into the paddock where the goats graze, hear bamboo murmuring and clicking in the breeze and get distracted by the native birds scampering through the undergrowth. It is the perfect writer’s studio. However it is only a few months old and I have yet to write a book in it. Most of my other books were written in camp sites or in my pottery studio or at the kitchen table after everyone else was in bed. Write, write, and write some more. The only way to become a good writer is to write. My absolute favourite character is a boy called Jack in my book ‘The Devil You Know’. He is brave and funny, just the kind of person I would love to spend more time with. I was a hairdresser, a fruit picker, a nurseryman, a journalist; then a gardener, a graphic designer, a potter and a weaver. So I might have still been one of those. I would like to become an illustrator, a fine artist, poet and learn to sing. Chocolate, dried bananas, dried biscuits with cheese and vegemite, black jellybeans, chocolate, yogurt and if I get depressed like when I spent two hours trying to perfect a paragraph I eat banana icecream with choc chips. Which always makes me fall asleep. But then as I’m waking up, I grab my pen and paper because I always know exactly the right words and images to finish the paragraph. My books are all set in real places and are loosely based on real characters. Tomias from the Barrumbi Kids series is based on a boy I was in love with when I was seven years old. He was the smartest, cleverest boy in our school. He could run faster than anyone else, he was good at school work and hunting – now he is an important ceremony man in the community I grew up in. 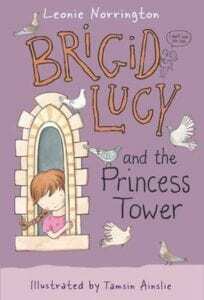 Brigid Lucy is based on my nieces and her exploits as a child. That libraries, both in schools and out, stayed open 24 hours a day and had bean bags in them where you could sit read and have your food and drink drip fed into your arm so you would never have to go outside and face the world again. 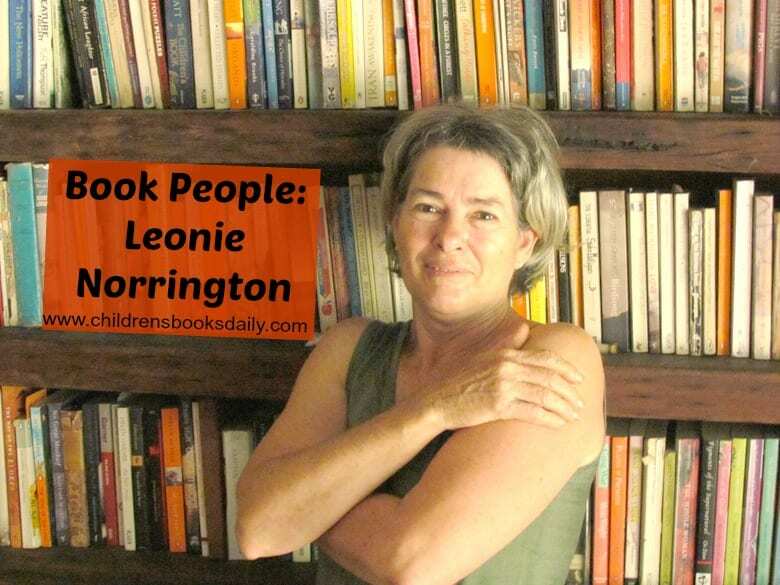 You can purchase Leonie Norringtons books by clicking on the covers below.